Magnus Carlsen pulled it of with a victory in the third round of rapid chess party in New York on Wednesday night. 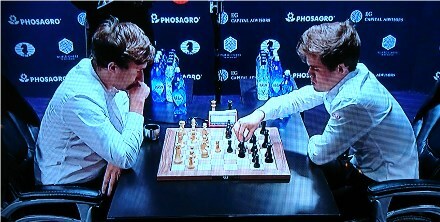 Carlsen's game impressed mostly through the evening, but he also made mistakes. In the second game, the computers showed a huge advantage to Carlsen, but after his 62'nd move , Karjakin managed to get back and the game ended even. The fourth game ended in Karlsen's favour. This is Karlsen's 3'rd World Champion victory, at the same day he celebrated his 26'th bithday. Norway's veteran woman biker Gunn-Rita Dahle Flesjaa (42) (Multivan Merida) won the UCI Mountain Bike World Cup race at Lenzerheide, ahead of USA's Lea Davison. 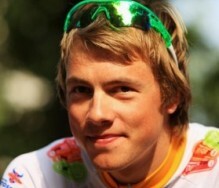 Norwegoan biker Edvald Boasson Hagen (MTN-Qhubeka) captured the conclusive stage of the Tour des Fjords in a thrilling finale in the Stavanger area on Sunday. 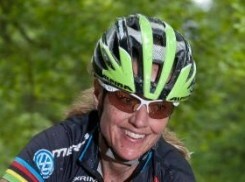 Norwegian woman biker Gunn-Rita Dahle Flesjaa (42) won the MTB Marathon world championships at Val Gardena, Italy on Saturday, the 10th mountain bikiing World Championship of her career.